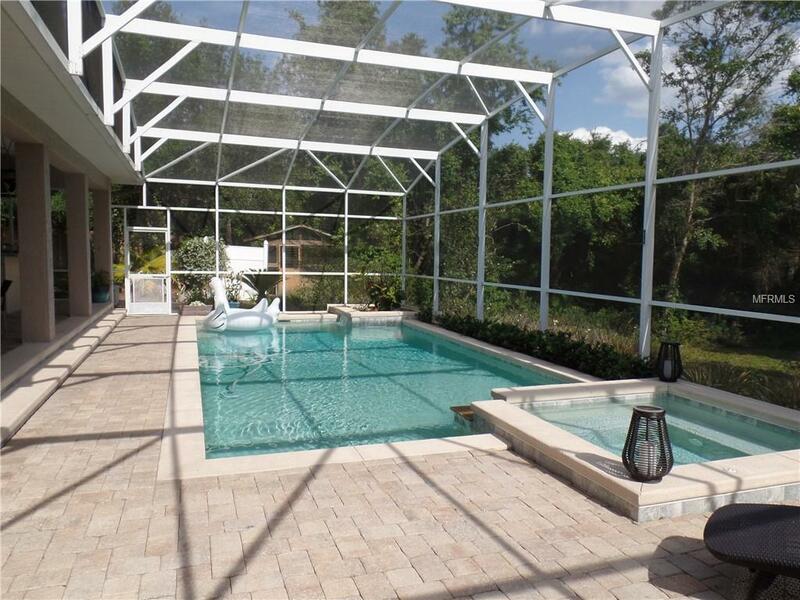 TERRIFIC POOL HOME 1.20 +ACRE. DEBARY ORLANDIA HEIGHTS! This MINT home has open kitchen to the great room with wood burning stone fireplace. The 23' kitchen opens to the HUGE L_Shaped lanai and pool with paver deck, separate eating area and A+ summer kitchen. The salt water pool has a propane heater - swim year around AND you can control from your phone-heat up the spa on your way home. 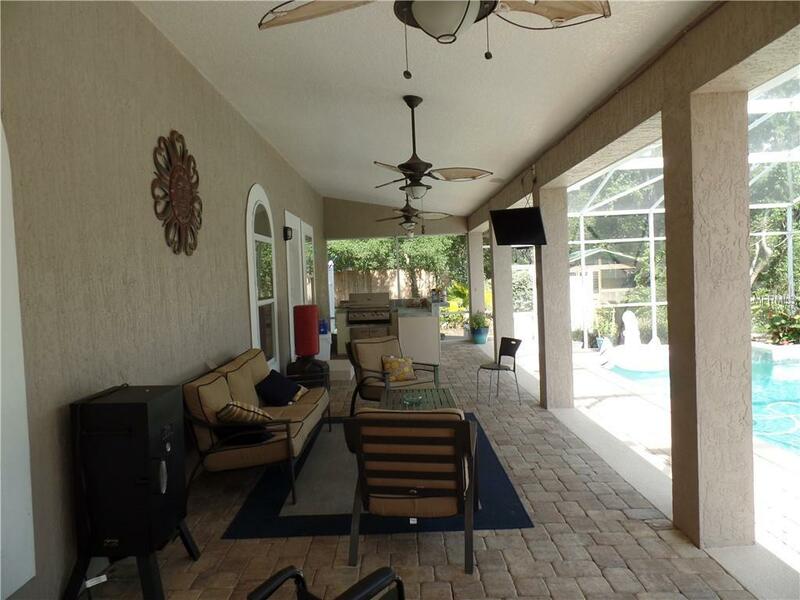 The summer kitchen has a grill and refrigerator and the 54' lanai is a wonderful outdoor living area. The BIG game room is wonderful flex space - home theater, office, 4th bedroom ETC. 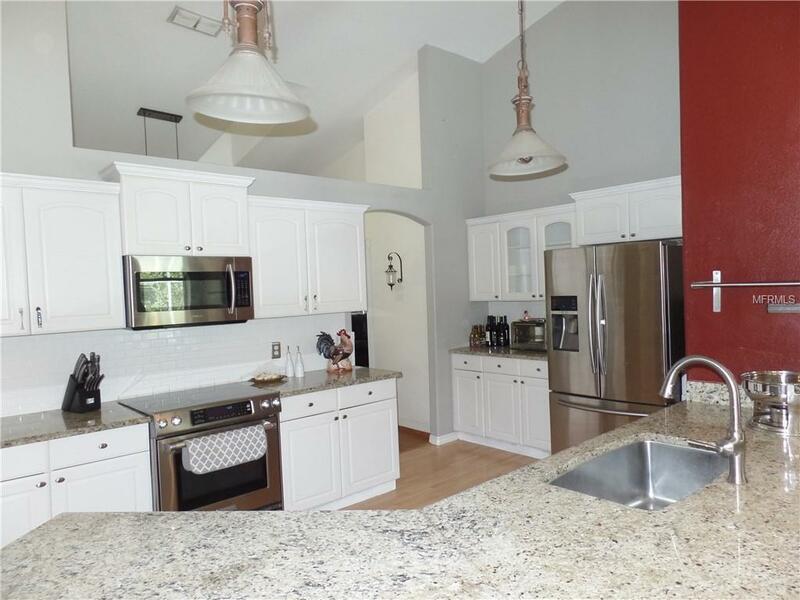 The kitchen has a Huge island, granite counters, tons of cabinetry & new appliances. There is a detached garage and lots of parking. This home is updated and shouldn't need any upgrades for years-, New roof with rubber coating 2016, AC & water heater apx 4 years, pool heater 3 years, pool pump 2016. Septic & well with new water softener keep utility bills low. Termite Bond, too. 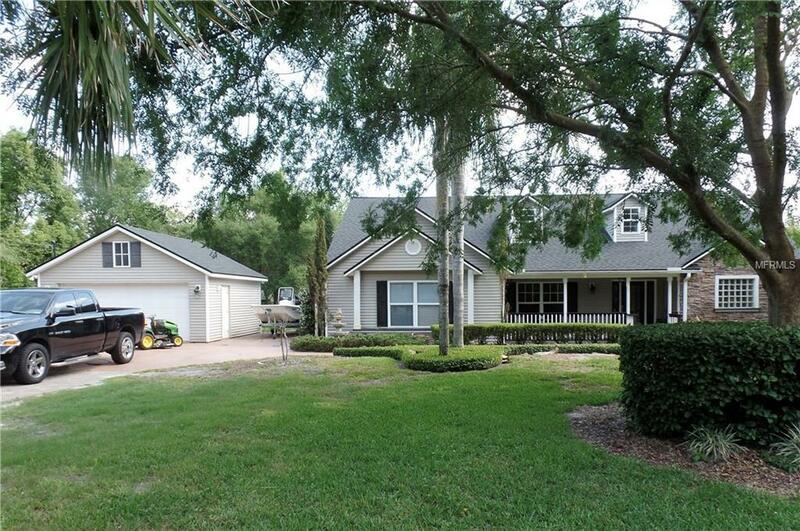 This is a private acreage site in one of Debary's favorite neighborhoods-zoned for horses & chickens! Terrific floor plan perfect for today's lifestyle. Close to the SunRail Train Station makes commuting easy.